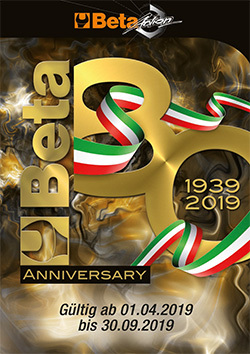 The new BETA catalogue 2019 is now available! Since many years BETA has been producing professional hand tools and workshop equipment with highest quality and functionality. In addition BETA also offers a wide range of workwear suiting all needs and requirements. We do now offer the complete and very comprehensive range of BETA products!